NOTE: Due to size and/or weight additional shipping may be required. If interested send me your zip code and I'll figure the exact charge. 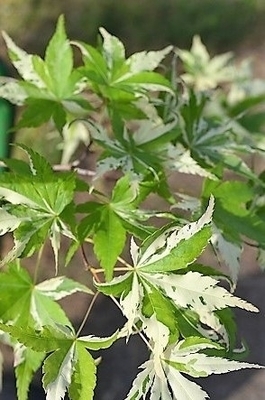 Comments: A highly ornamental selection with prominent white in the variegated leaves. Spring growth often light pink. Grows fast when young, then slows down and becomes more dense. The English translation means "the dawn swan". By any name a garden standout! !